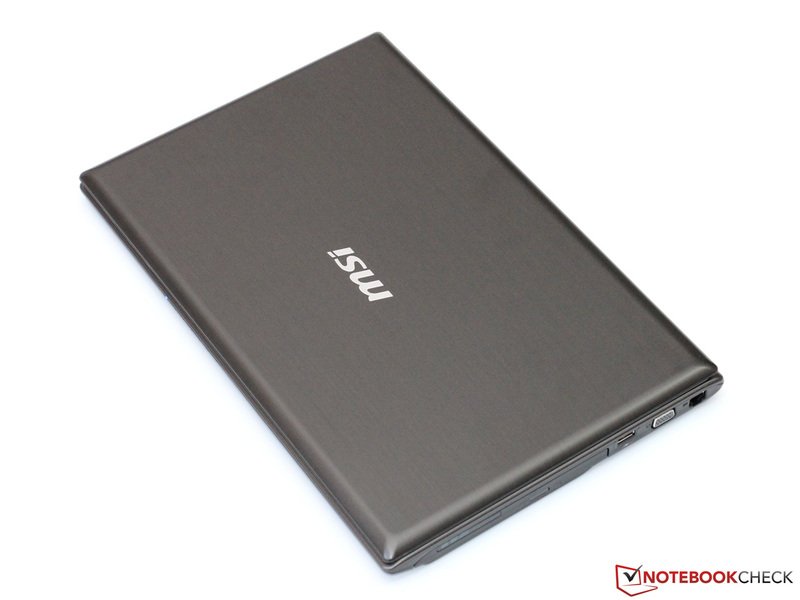 MSI is well-known for their gaming notebooks. 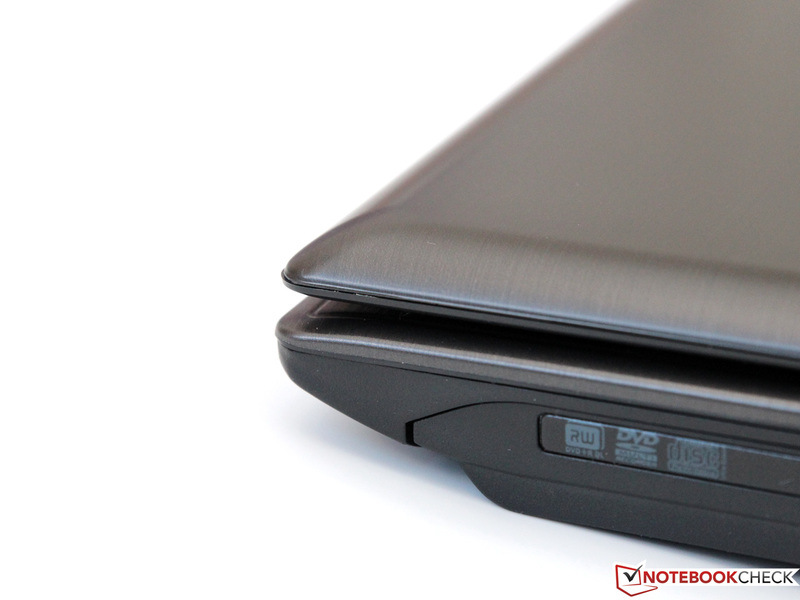 The company doesn't only offer high-end laptops (like the GT60 - see our review here), but also offers systems at a more moderate price point. The series CX61 resides at the bottom of MSI's product portfolio and tries to appeal to price-conscious gaming aficionados. 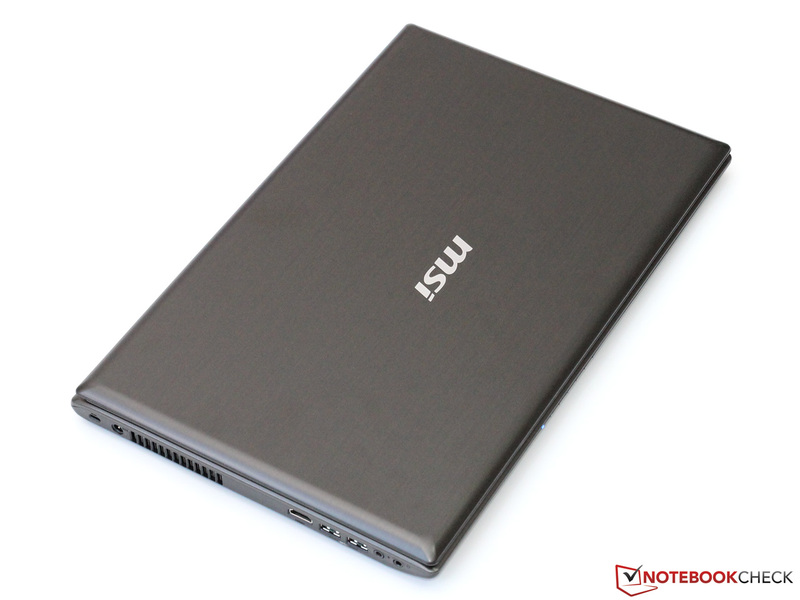 For just under 600 Euros (~$800), the 15.6-inch (WXGA) notebook comes equipped with a dual-core Intel Core i5-3210M, 4 GB of RAM, and a 500 GB hard drive. In order to handle even demanding 3D games, MSI uses an Nvidia GeForce GT 635M. 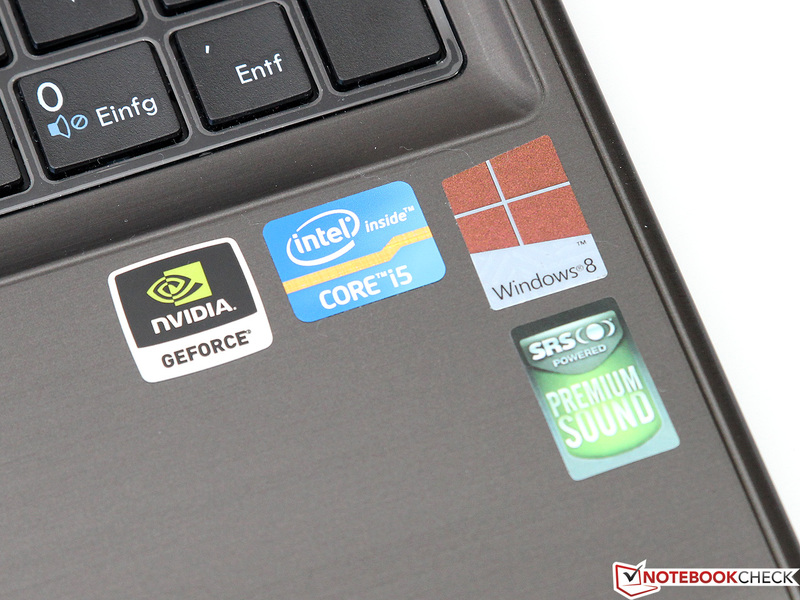 In some countries, the CX61 is offered with even more powerful hardware options - the notebook can be equipped with a Core i7-3630M and a GeForce GT 645M - but Germany gets only two models (with either a GeForce GT 630M or 635M). 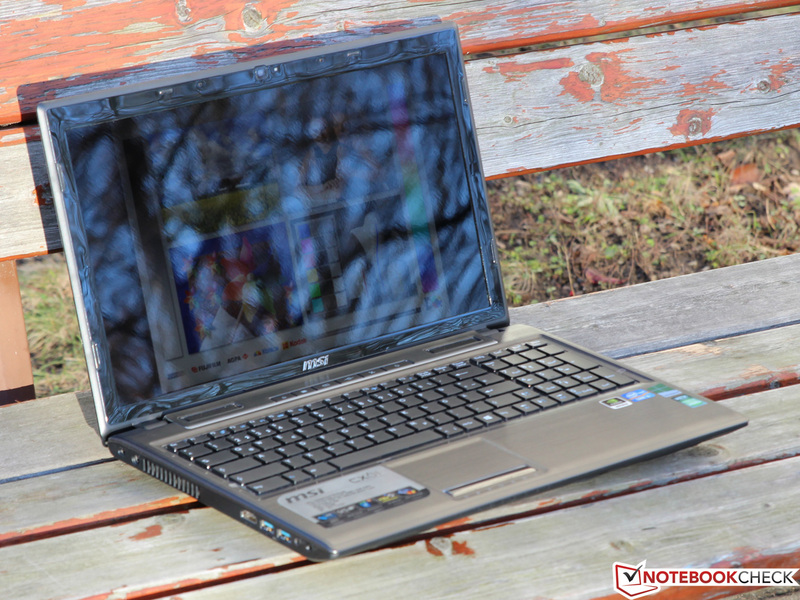 The segment of affordable multimedia notebooks in the range of 500 to 700 Euros (~$660 to ~$930) is fiercely contested. 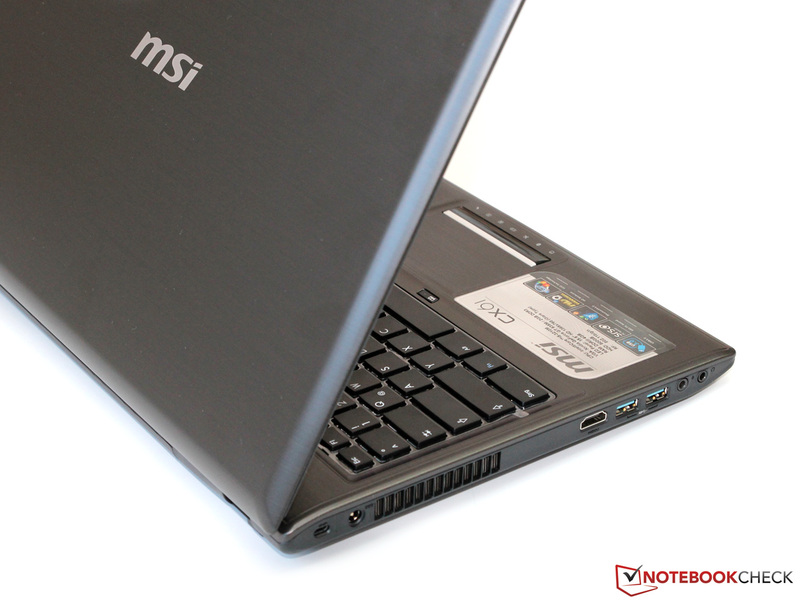 The MSI CX61 has many competitors, like the Sony Vaio SV-E1511, Lenovo IdeaPad Z580, or the HP Envy m6 (to name just a few). How does our review model compare to the alternatives out there? 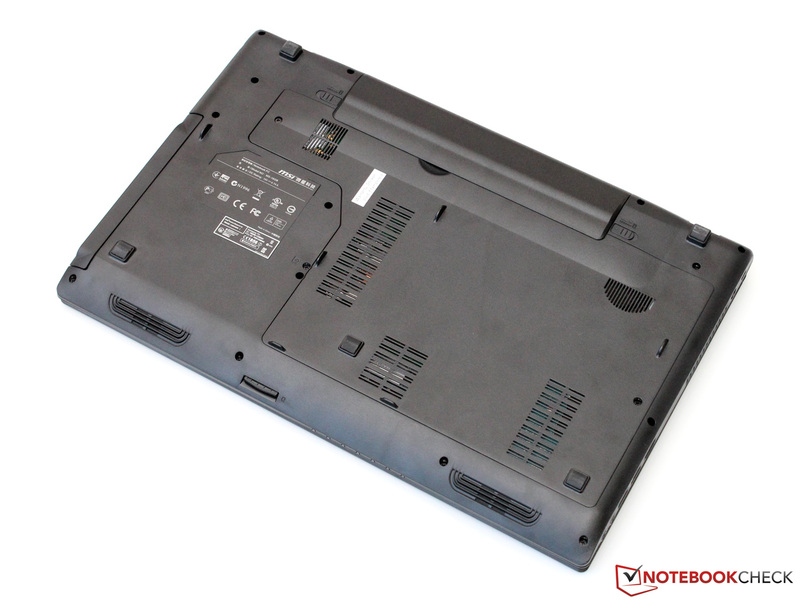 MSI didn't develop an entirely new chassis but utilizes a slightly modified version of the barebone chassis used for the GE60 (MS-16GA) instead. Most of the differences are visual in nature: the gray-black paint of the CX61 is not quite as shiny and imitates a polished aluminum surface. Just like the metal-looking decorative strips, it's only simple plastic underneath. 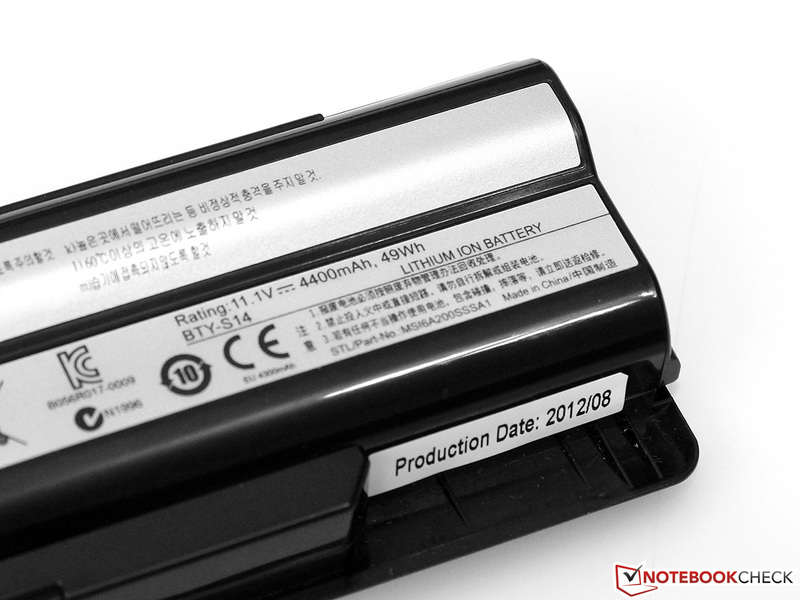 Including the battery, the notebook weighs in at 2.4 kilograms (5.29 pounds), which is comparatively light. 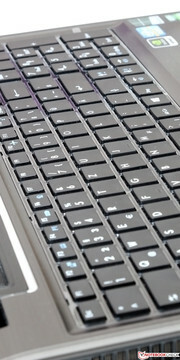 Of course this is no Ultrabook - and the thickness of almost 3.8 centimeters (1.50 inches) shows that clearly. The dimensions and weight certainly make it possible to tote the laptop around occasionally, although we think the CX61 works better as a stationary system. We already noted a lack of sturdiness in previous reviews - and unfortunately nothing has changed. Both the base unit and the display are torsionally not very rigid and frequently complain with creaking sounds when subjected to physical force. Vibrations - like the ones occurring when riding a train - cause the display lid to bounce back and forth, since the hinges are stiff but exhibit a bit too much play. A closer look reveals that the workmanship also could be better: not all seams align properly and sharp edges are the result. Other areas have gaps which can be closed when applying pressure with the fingers. Of course one has to consider the price bracket - and truthfully: none of the observed flaws really impact daily use. 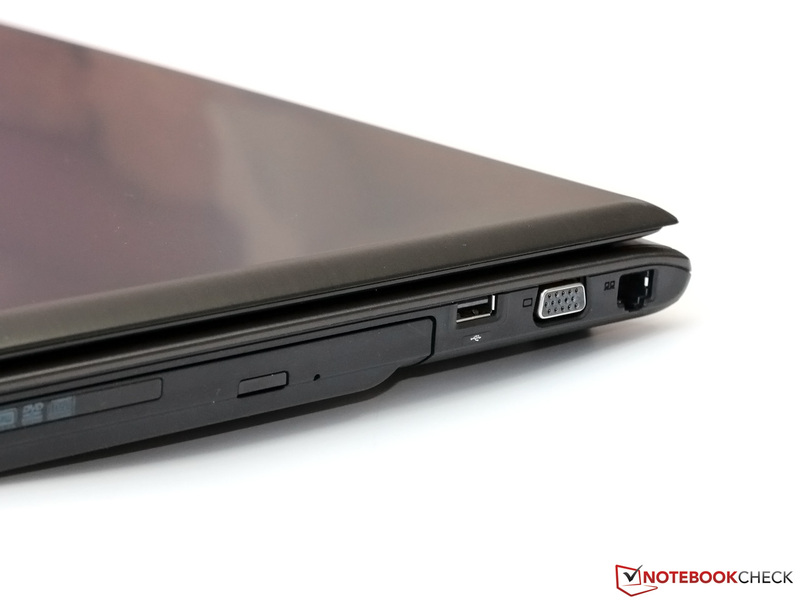 Similarly priced laptops - like the competitor Lenovo IdeaPad Z580 - feature better build quality. Compared to the GE60, the CX61 loses one USB port and comes with 3 USB ports total (2x USB 3.0 left, 1x USB 2.0 right). The rest is pretty standard fare: VGA, HDMI and GBit LAN. We would have liked to see a DisplayPort included, as HDMI can't always handle high-resolution 27 and 30-inch LCD displays well. We do appreciate the separate audio jacks - instead of a combo headphone/microphone jack - and the accessibility of the ports (although MSI could have put a bit more distance between some of the ports). 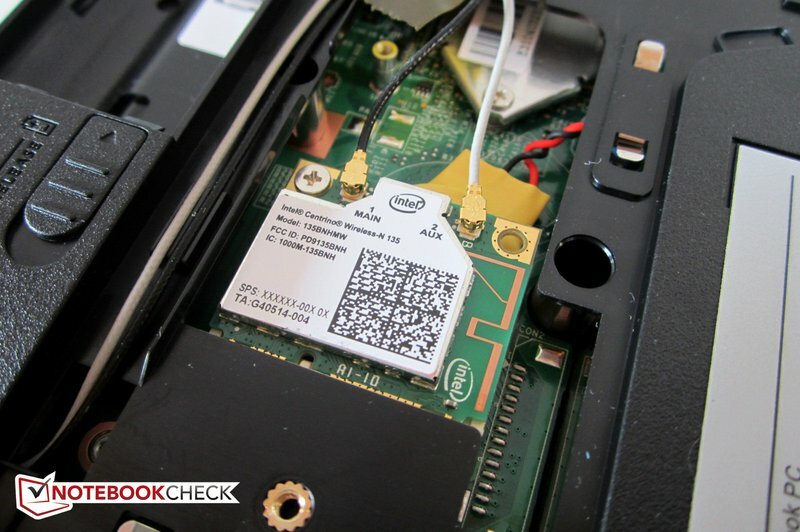 The CX61 features a combination WLAN/Bluetooth 4.0 adapter from manufacturer Intel. 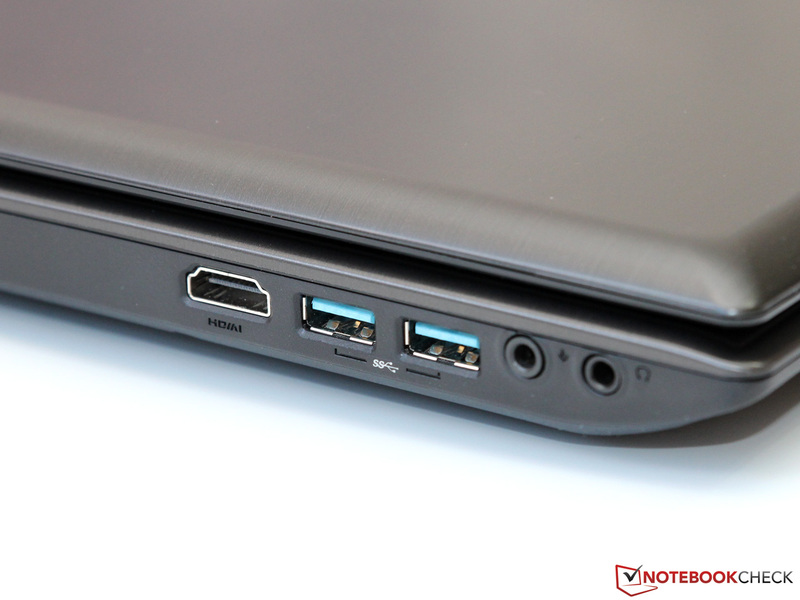 The Centrino Wireless-N 135 is decidedly a very low-end choice and only supports 2.4 GHz (802.11b/g/n). The adapter has one antenna each for sending and receiving and maxes out at a theoretical 150 MBit/s (Single Stream) - although we could only achieve speeds up to 72 MBit/s. The module also doesn't offer any additional functionality (like Wireless Display, for example). We had no issues with the reception or range when we tested connectivity. 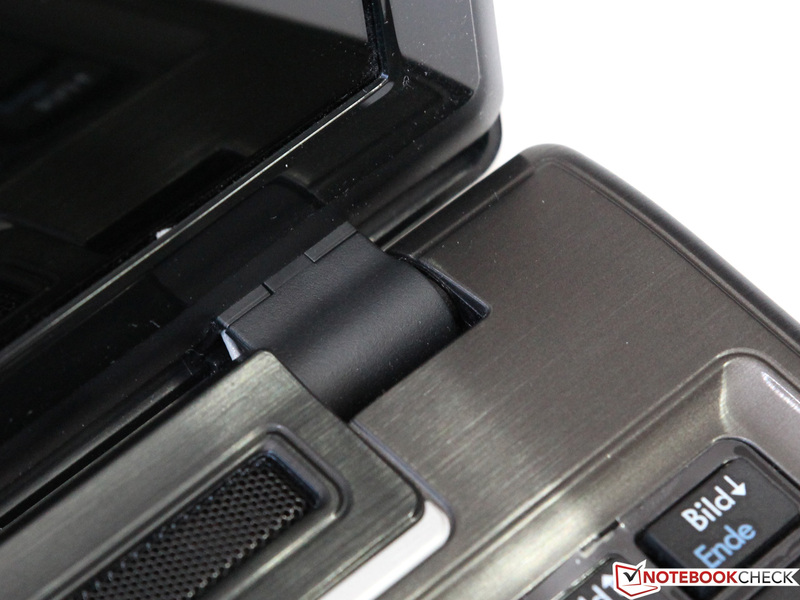 The integrated webcam allows the user to take snapshots and videos. The quality of the 1.3 Megapixel sensor is very lackluster and results in low details and high graininess. As a communication device, the webcam (and the accompanying stereo microphone) is certainly sufficient. The box includes the notebook with battery, the 90 Watt power adapter, and a small accessory packet with warranty information and a quick start guide. MSI also includes a driver CD - a rarity these days, as most competing manufacturers require the user to create one. The pre-install of Windows 8 64-bit is free of bloatware and only includes the most basic programs - including a full version of CyberLink's PowerDVD 10, which allows the user to playback movies using the DVD RW drive. 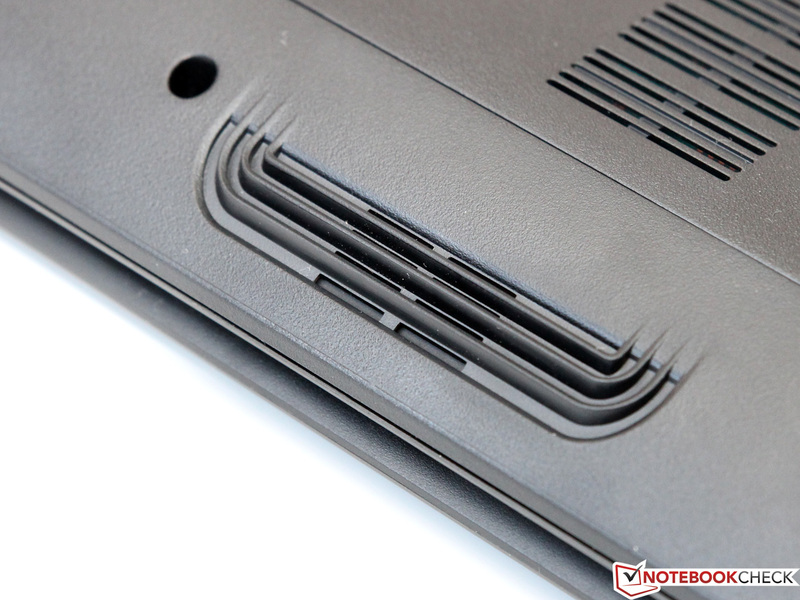 Upgrading the notebook requires the user to remove a maintenance cover on the bottom. 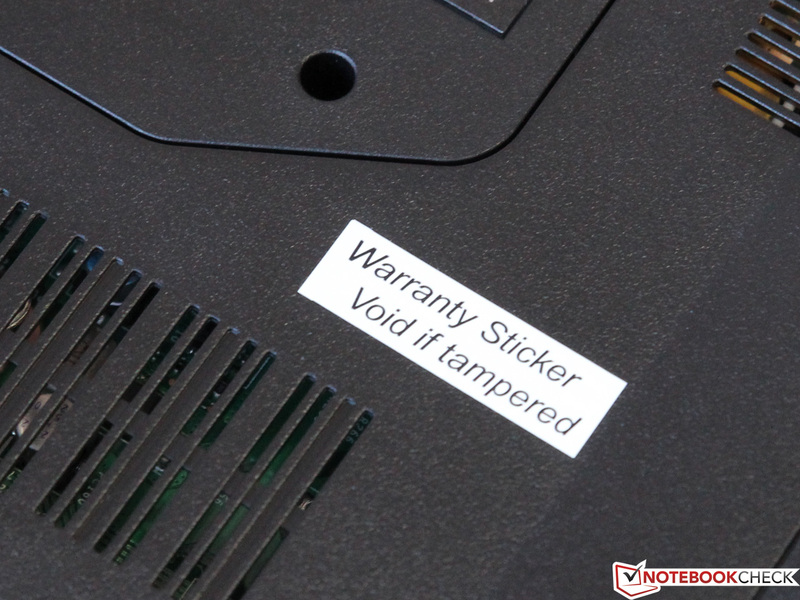 A seal warns that the warranty will be voided should the owner attempt to access the components - but in truth, this warning only applies to damages caused by improper handling. Since we are already familiar with the barebone version, we decided to forgo opening the notebook this time around. 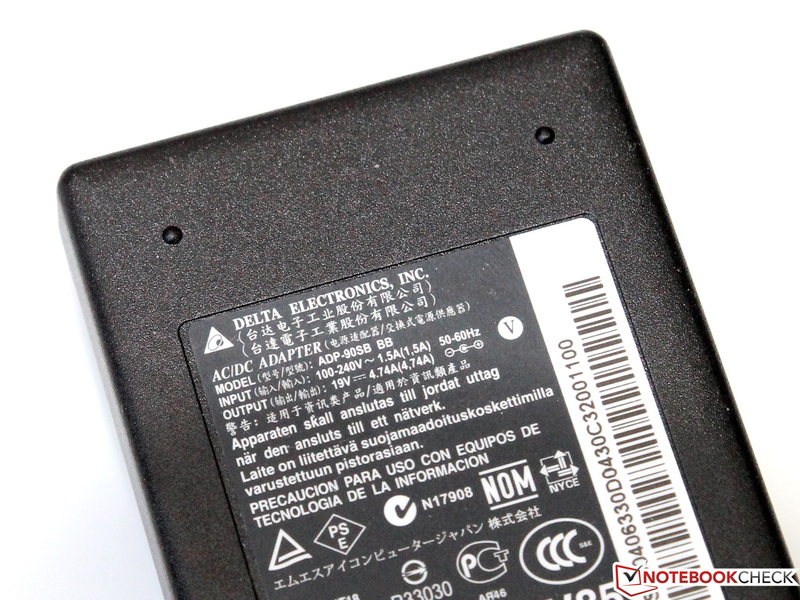 Underneath the cover, the user should encounter one free DIMM slot for adding RAM and the mSATA connector, which can be used to add an additional SSD. In Germany, the notebook is covered for 24 months via a "Collect & Return Service" warranty. Various online retailers offer a "Carry-in" extension of the warranty for an additional 12 months starting at 30 Euros (~$40) - a worthwhile investment. 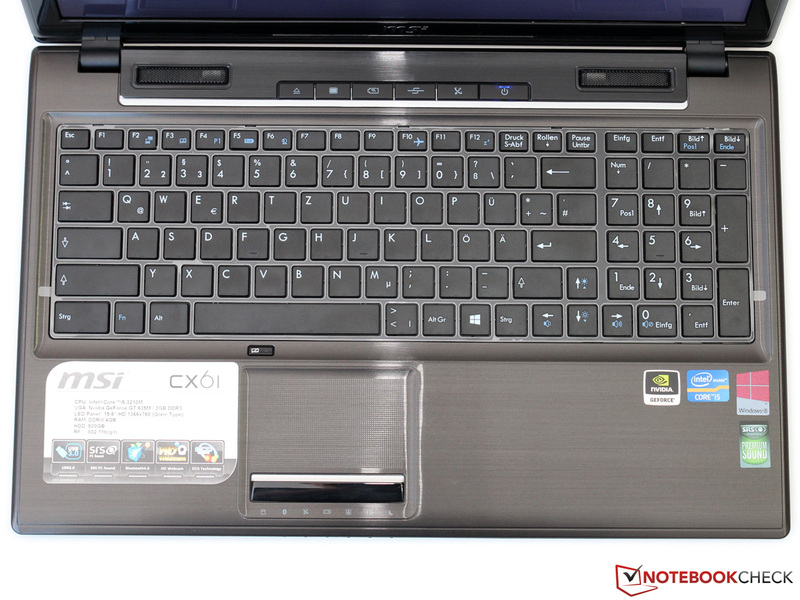 The CX61 features - just like many other MSI notebooks - a chiclet-type keyboard which has been specially modified for gaming. The Windows key, for example, is pushed further to the right and important keys, like Shift and Ctrl, are oversized to limit the chances of hitting the wrong key. Racing fans will also appreciate the full-sized arrow keys. Unfortunately, the keyboard is not especially well suited for office-type tasks - read typing. The keys are 14 x 14 millimeters (0.55 x 0.55 inches) in size, absolutely flat and comparatively smooth - not ideal for accuracy. Depressing the keys requires medium pressure and provides crisp feedback. 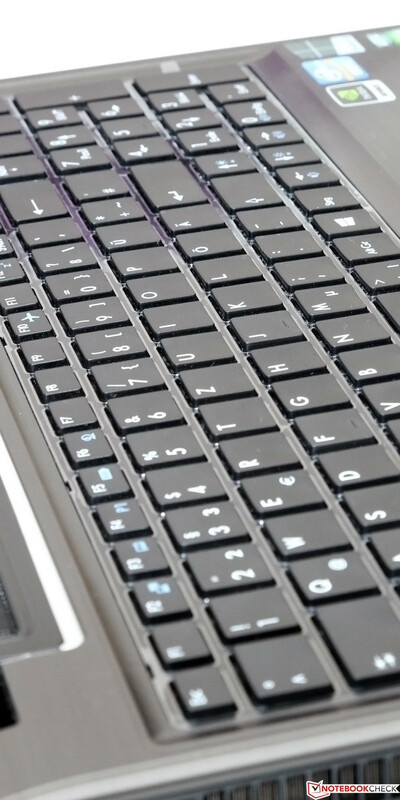 As far as the overall quality is concerned, we are torn: while the plastic doesn't exactly convey high-end, the keyboard itself is supported quite well and doesn't flex even during heavy-handed typing sessions. 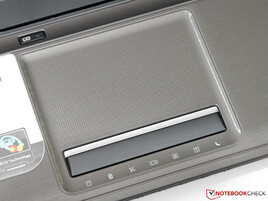 MSI sources the touchpad from manufacturer Elan. The device measures 7.5 x 4.5 centimeters (2.95 x 1.77 inches) and is recessed slightly into the palm rest. During our review, we repeatedly had issues with the sensitivity, which caused unwanted mouse clicks during regular cursor movements. When we lowered the sensitivity in the driver options, the cursor became sluggish and unresponsive. The only solution: disable mouse clicks via tapping. We found it preferable to use the mouse buttons, which are combined in a single bar underneath the touchpad. Unfortunately, actuation is a bit too stiff and the click-point isn't well defined. Too bad: the outstanding FullHD display the GE60 comes with is not an option for the CX61. 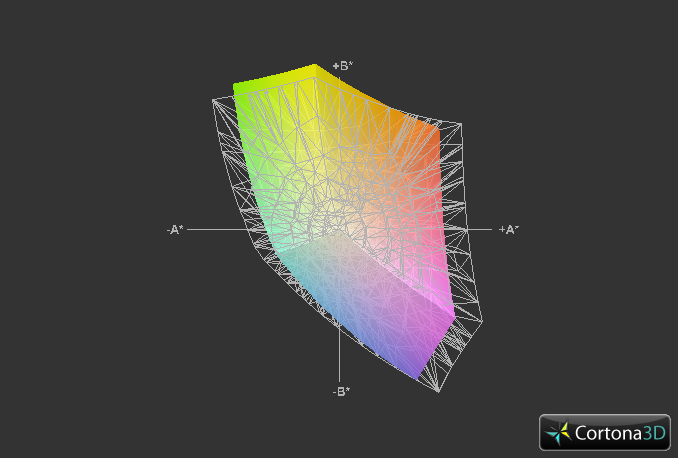 The resolution of the 15.6-inch display is a paltry 1366x768 pixels (WXGA) with a density of 100 dpi - pretty standard for this price bracket. 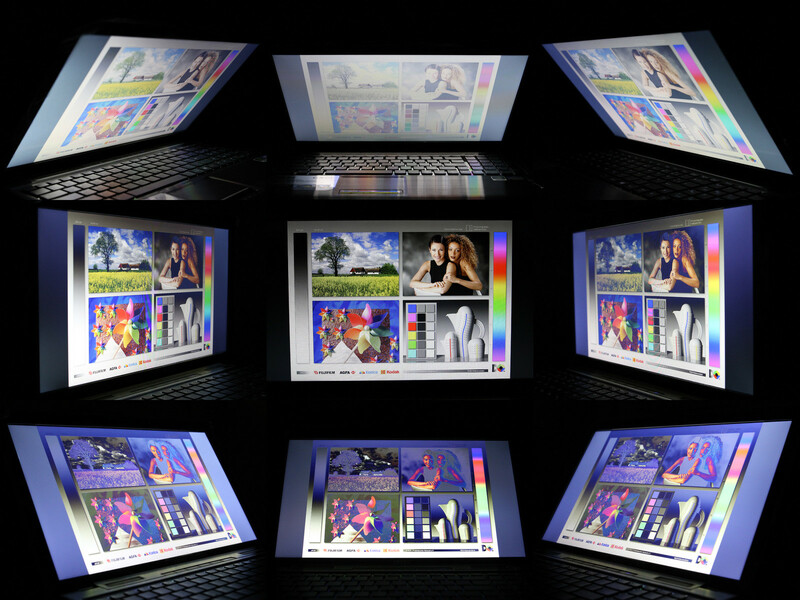 The maximum brightness (adjustable via 11 steps) of the display is a respectable 217 cd/m. The brightness distribution seems fairly even; we also didn't encounter a decrease in brightness levels while the notebook was running on battery. MSI uses a TN panel (Samsung 156AT02-A04), which doesn't offer very high picture quality. 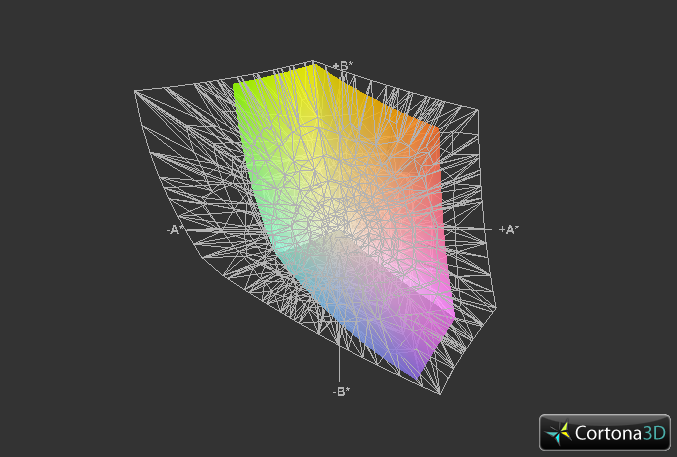 Blacks tend to be more of a gray, since the black point is high at 0.71 cd/m² - movies certainly suffer a bit. The contrast ratio is 341:1, which is a bit better than average for the class. The panel handles the color spaces better than the competition: sRGB is covered to about 80 percent. This is probably not good enough for professional photo or graphics editing, but for the average user the color reproduction should be sufficient. Since the display is of the glossy-type (reflective) variety, outdoor use is limited. Under unfavorable conditions (like direct sunlight at a 90 degree angle), it's next to impossible to decipher anything on the screen. Things improve in the shade, although annoying reflections still occur. Last but not least, let's take a look at the viewing angles. TN technology can never compete with superior IPS displays in that regard - which is also true for the CX61. Deviating from the ideal 90 degrees, especially in the vertical plane, results in rapid deterioration of the picture quality. The user should definitely try to stay as close to the centerline as possible. 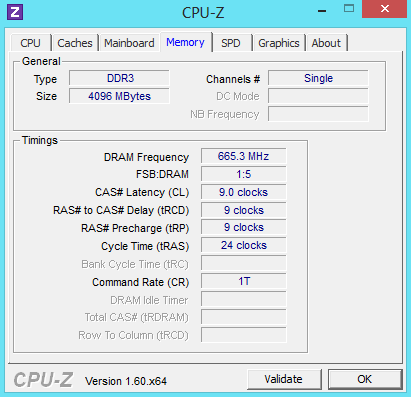 3.1 GHz: the maximum Turbo Boost frequency. Even though the successor to the Ivy Bridge design - named "Haswell" - is already lurking in the shadows, the Intel Core i5-3210M (introduced in June last year) is by no means a slouch. 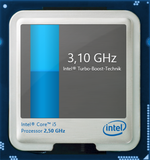 The middle-class CPU features two cores and a base frequency of 2.5 GHz, which Turbo Boost 2.0 can overclock to 3.1 GHz - temperature and load permitting. 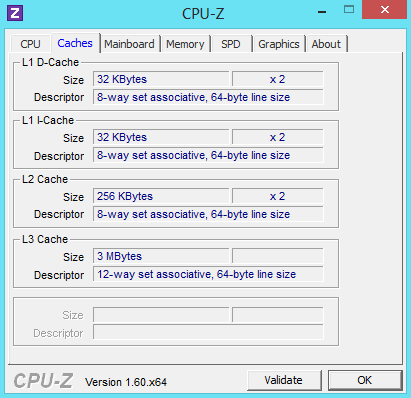 Like all processors in the i3, i5, and i7 lineup, Hyperthreading allows each core to handle two threads, which increases the performance as long as the application is designed to be multi-threaded. The CPU is manufactured using the 22 nanometer process and features a TDP of 35 Watts. 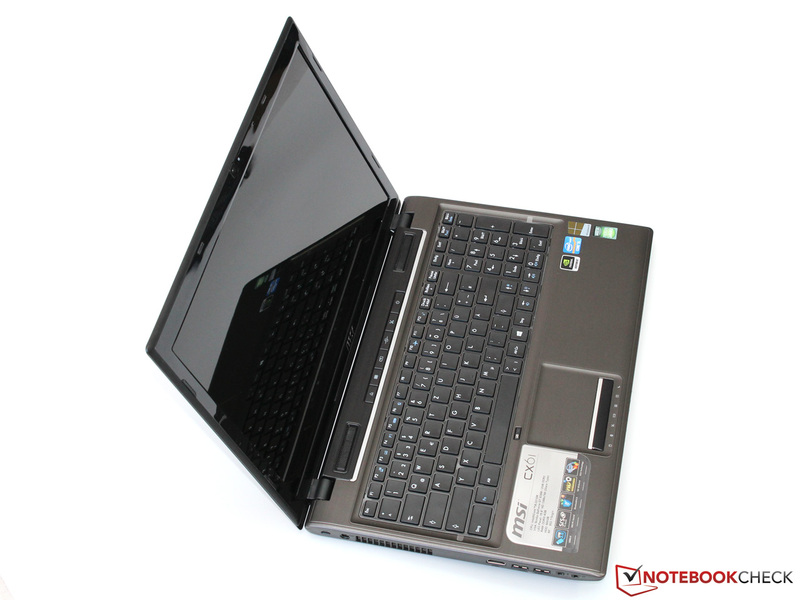 The Core i5-3210M processor is accompanied by a middle-class GeForce GT 635M GPU. 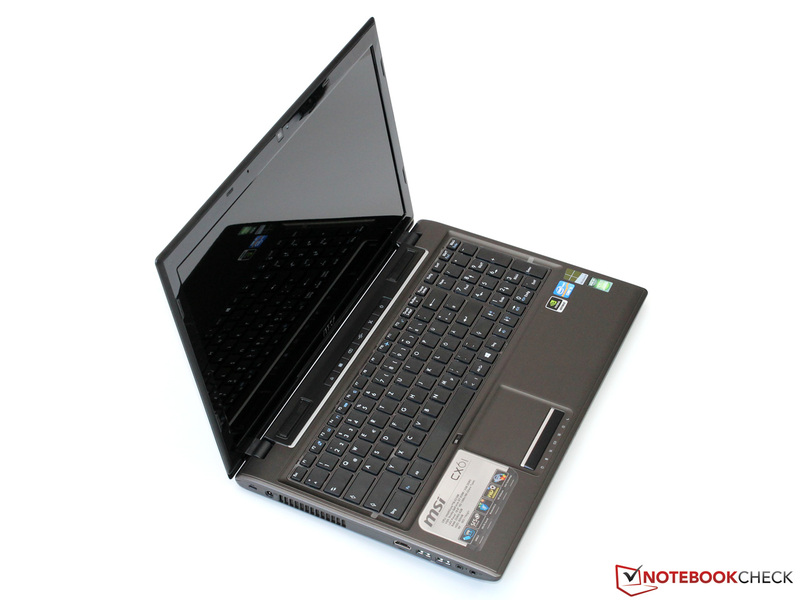 The notebook uses Optimus technology to switch between the dedicated Nvidia graphics card and the integrated Intel HD Graphics 4000, which contributes to lower power consumption during idle. 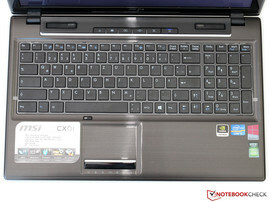 The CX61 features a 500 GB hard drive and 4 GB of RAM. 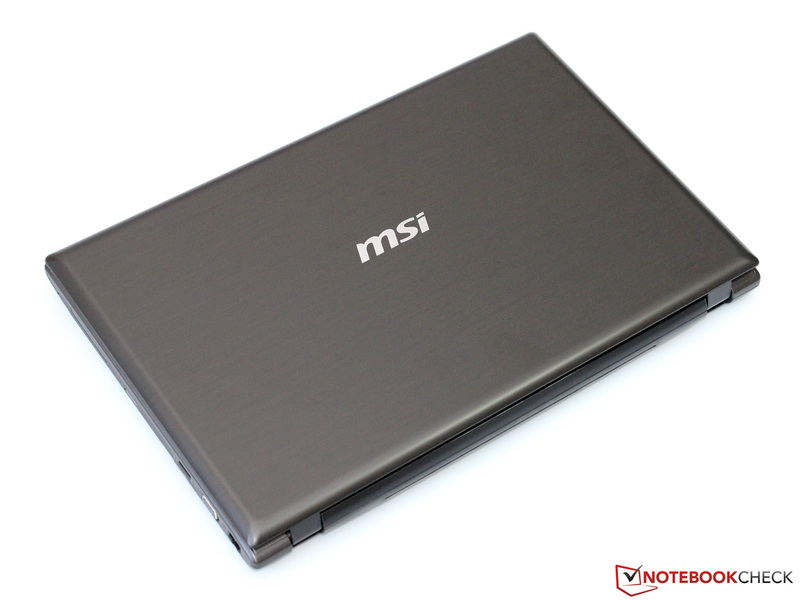 Since MSI only equips the notebook with a single DDR3 1333 module, memory bandwidth is comparatively low - although this should not significantly limit performance during everyday use. 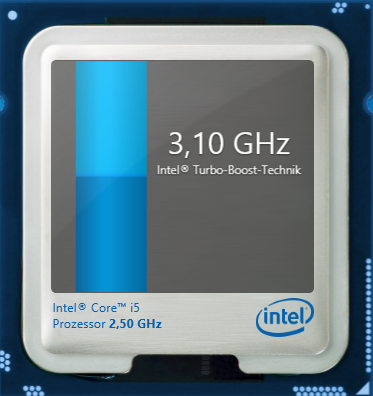 To develop their full performance modern processors rely mostly on the integrated Turbo Boost technology. During our benchmark tests, the Core i5-3210M maintained a maximum clock speed of 3.1 and 2.9 GHz (single and multithreading), which results in very good scores overall. The CX61 achieved 2.87 points running Cinebench R11.5 - comparable to the Sony Vaio SV-E1511, HP Envy m6, and the Lenovo IdeaPad Z580, all of which use the same CPU. Users who want to tackle more demanding tasks (like HD video editing, for example) need more power and should probably consider a notebook with a quad-core processor. 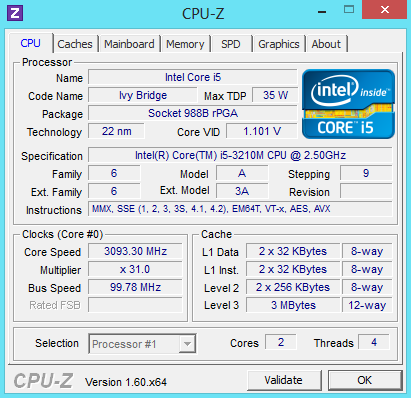 The Core i7-3610QM offers - for about 100 Euros / ~$135 more - about twice the performance under load. As much as we would have liked a fast SSD: considering the price point of the notebook, we certainly can't fault the manufacturer for going with a regular hard drive. 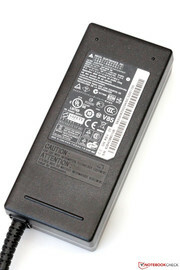 MSI uses a 2.5-inch model from Hitachi (HTS545050A7E380) with 500GB capacity, which houses both the OS and the programs. The hard drive (member of the Travelstar Z5K500 series) spins at a rather sedate 5400 RPM and features 8 MB cache. Because of the high data density (Hitachi uses a single platter), the sequential reads are actually quite good: HD Tune pegs the transfer speed at a pretty decent 87.5 MB/s, which places the hard drive in the upper third of our hard drive database (SSDs excluded). The access time of 20.2 milliseconds, on the other hand, is just OK.
Just like in our segment on processor performance, we didn't encounter a lot of difference to comparable competitors as far as the overall system performance is concerned. 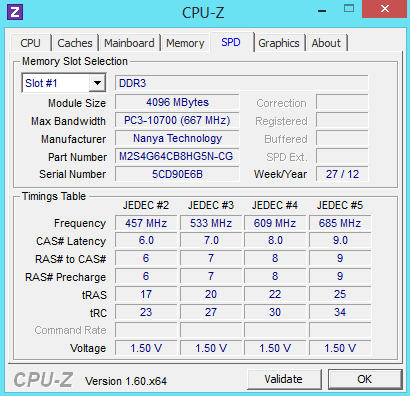 The system earned 2359 points running PCMark 7, which is quite good for a notebook without an SSD - even though those results have to be taken with a grain of salt, since this is a synthetic benchmark. Aside from the hard drive, which slows down during installs or when starting larger applications, we consider the overall system performance to be quite decent. 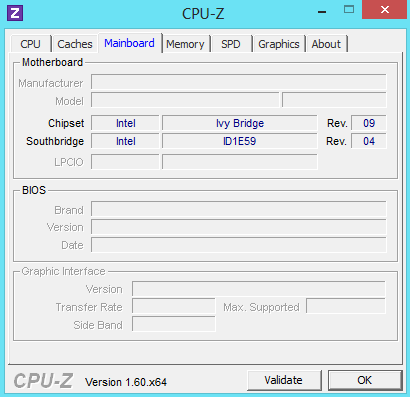 Even though this processor can't be compared to high-end i7 CPUs, it handles most tasks and programs without problems. We would recommend using a small SSD for Windows and frequently used programs to improve performance further (see the section on maintenance). 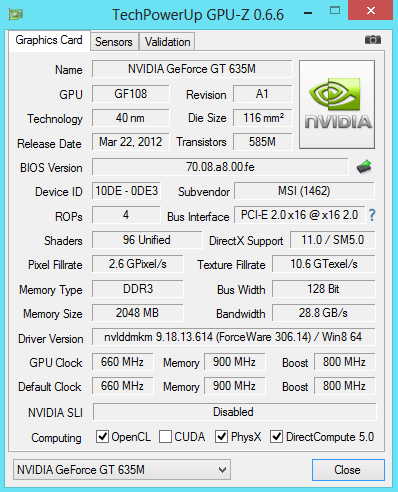 The Nvidia GeForce GT 635M is essentially a renamed reissue of the (about two-year old) GeForce GT 555M, and offered in different versions. Unfortunately, MSI decided to use the slowest model: the chip (GF108 - build using the 40 nm process) is based on the Fermi architecture and only features 96 shader units, which operate at twice the frequency (660-800 MHz). Considering that the RAM is 2 GB (DDR3-VRAM, 128 Bit, 900 MHz), the card could also be sold as a GeForce GT 630M, although the name "GT 635M" suggests higher performance. The result confirms it: 1252 points running 3DMark 11 - that's hardly better than the competition with the "lower-end" GT 630M. 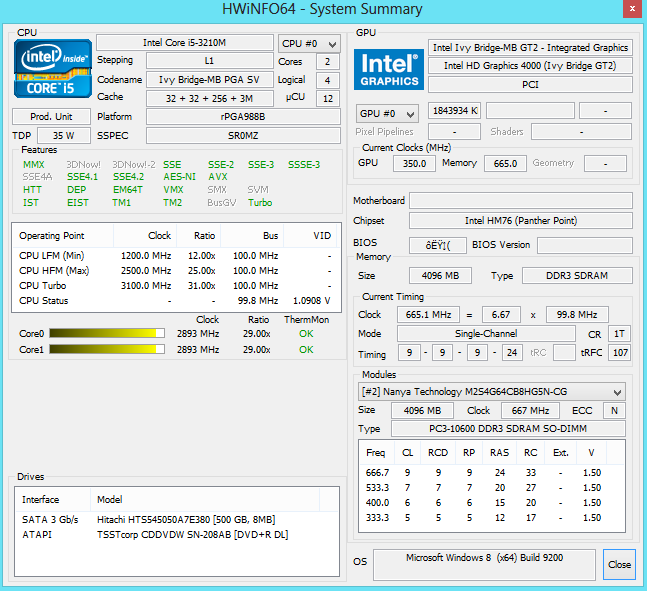 The AMD equivalent, Radeon HD 7670M, (which is used in the HP Envy m6), scores almost identically (1267 points). The GeForce GT 650M (featured in the more expensive MSI GE60) easily tops the results at over 2200 points. We have already subjected both the GeForce GT 635M and the very similar GT 630M to performance tests using various games - see the results in our GPU database - so we will just take a brief look here. For most current games, the performance and reserves of the GT 635M are just good enough to allow the use of the native display resolution of 1366 x 768 pixels. An exception is Battlefield 3, which is very demanding and requires lower details to run smoothly. 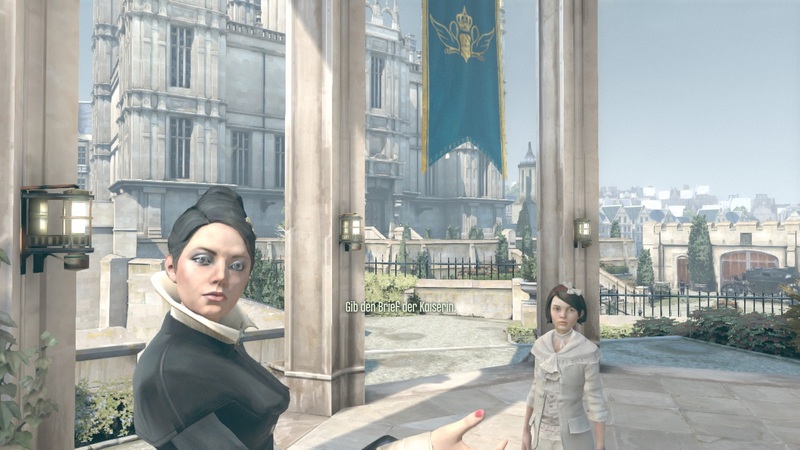 Games like FIFA or the not very resource-intensive Diablo III allow the use of additional features like antialiasing. Titles to be released in the next two or three years most likely will be more demanding - and a GeForce GT 640M or 650M would allow for at least some "future-proofing" (should the budget permit). The fan of the CX61 is on at all times - even during idle - and produces a noise level of about 33.7 dB (A). 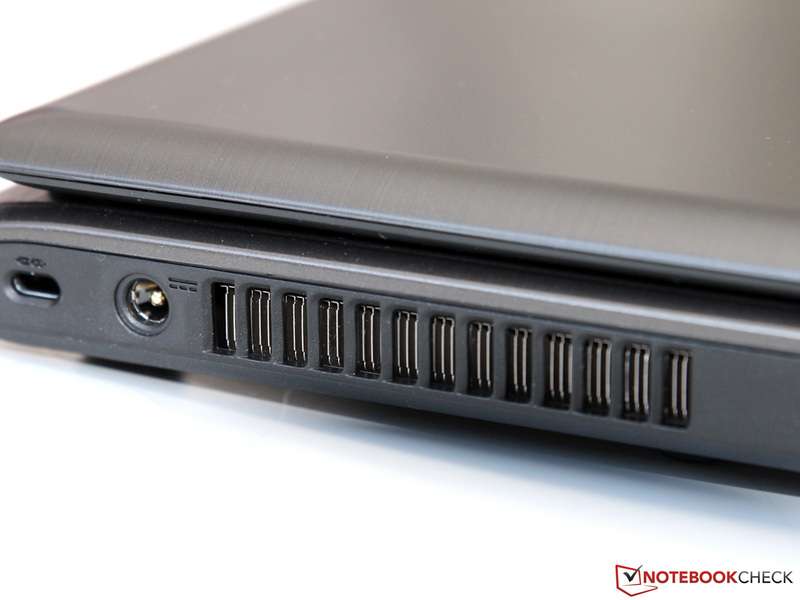 That means that our review model is about as loud as the Lenovo IdeaPad Z580 and audible in very quiet environments even from a distance. We couldn't distinguish the hard drive access noise, as the whoosh of the cooling system drowns it out almost completely. Under load, both the fan speed and the noise level increase but remain within acceptable levels - we measured 40 dB (A) running 3DMark 06. 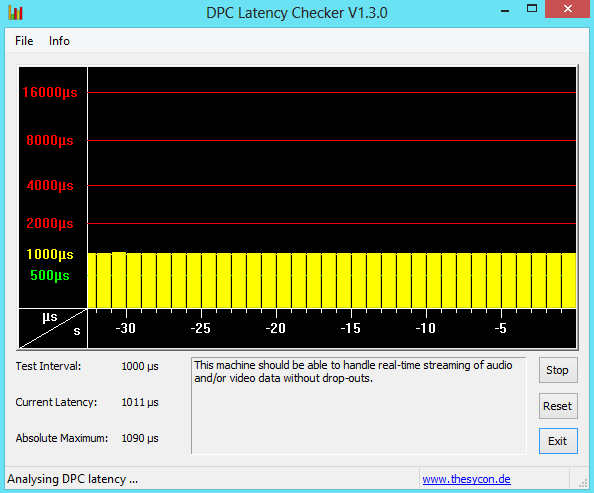 This result is not unusual for a gaming notebook; the sound of the gaming action usually drowns out the noise. The fan noise only really gets annoying under extreme conditions like our stress test - although 53.6 dB(A) is not likely to occur during normal everyday use. The fact that the fan is always running has a positive side effect: temperatures are very low during idle and are usually only 5 degrees Celsius (9 degrees Fahrenheit) above ambient. 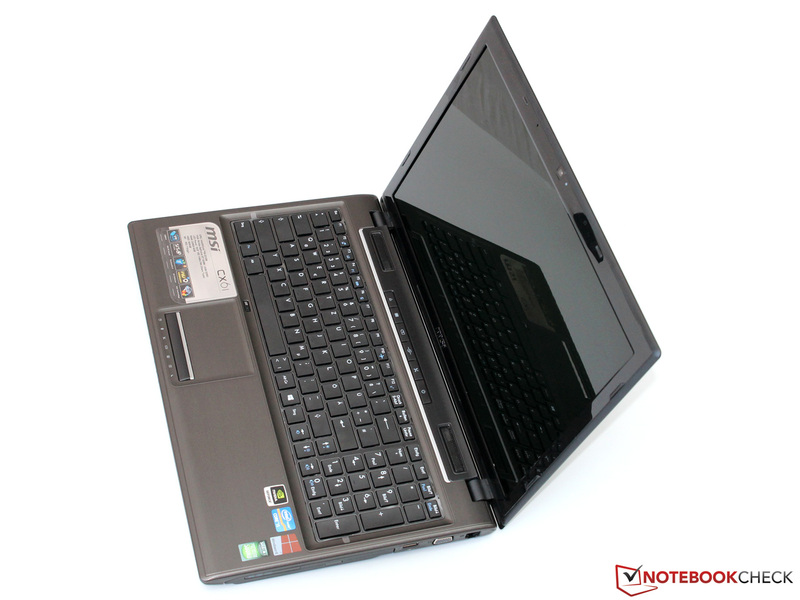 As long as the exhaust vent is not blocked, the notebook can be used on one's lap without any problems. 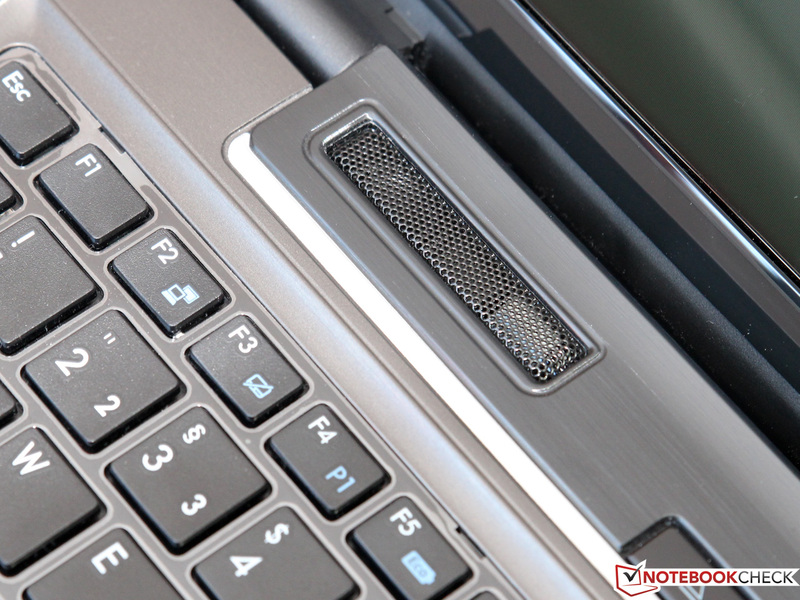 Under load, it's advisable to not only avoid the exhaust vent, but also the area above the keyboard, which reaches temperatures in excess of 47 degrees Celsius (116.6 degrees Fahrenheit). The palm rest and the entire right side of the notebook stay comparatively cool. Some competitor's notebooks have issues with throttling under maximum load - but not the CX61: while running Prime95 and FurMark, we saw temperatures of 86 degrees Celsius (186.8 degrees Fahrenheit) for the CPU and 91 degrees Celsius (195.8 degrees Fahrenheit) for the GPU - but both maintain their maximum (Turbo Boost) frequency. Everyday performance (including gaming) should therefore not be impacted even during the hot summer months. Even though the chassis can be equipped with four speakers (like the GE60), the CX61 only has two, which are located above the keyboard. The maximum volume is quite high, mids and highs are reproduced cleanly - only the bass is lacking a bit. External speakers can improve the overall sound quality. A modern AV receiver should be connected using the digital HDMI port, although a standard 3.5 millimeter jack is also available. When the GeForce GPU is inactive during idle and the processor cores are not under load, the consumption varies between 10.4 and 14.1 Watts. This is quite frugal and compares well with most competitors. Power consumption is surprisingly high while playing 3D games. 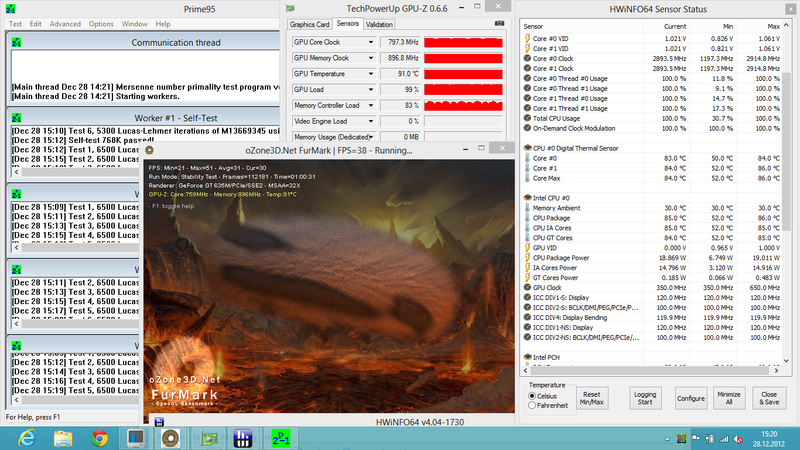 70.4 Watts (3DMark 06) is quite a bit more than what the (equally fast) Lenovo IdeaPad Z580 (57.8 Watts) and the HP Envy m6 (48 Watts) consume. We think that the high frequency 40 nanometer chip is to blame - a GT 630M (GF117) or GT 640M LE (GK107), which are both manufactured using a 28 nanometer process, would probably be a more efficient choice. The power adapter delivers 90 Watts and is adequately sized to handle even the maximum load of 83.6 Watts we encountered during the stress test. Given the power consumption, we didn't expect very long run times - especially considering that the battery delivers only 49 Wh. Running our Battery Eater Reader's Test (energy-savings mode, GPU and wireless deactivated), the CX61 only managed to last 4 hours and 22 minutes - even though this test simulates idle mode and thus the lowest power consumption possible. When we ran our WLAN test at medium display brightness (~150 cd/m²), the notebook lasted 2 hours and 47 minutes. 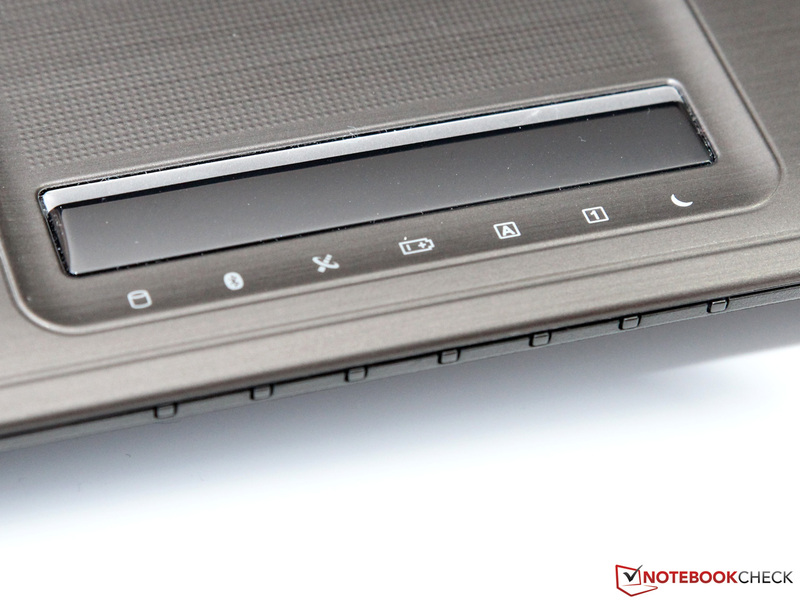 The notebooks from HP and Lenovo lasted about two hours longer during the same test. 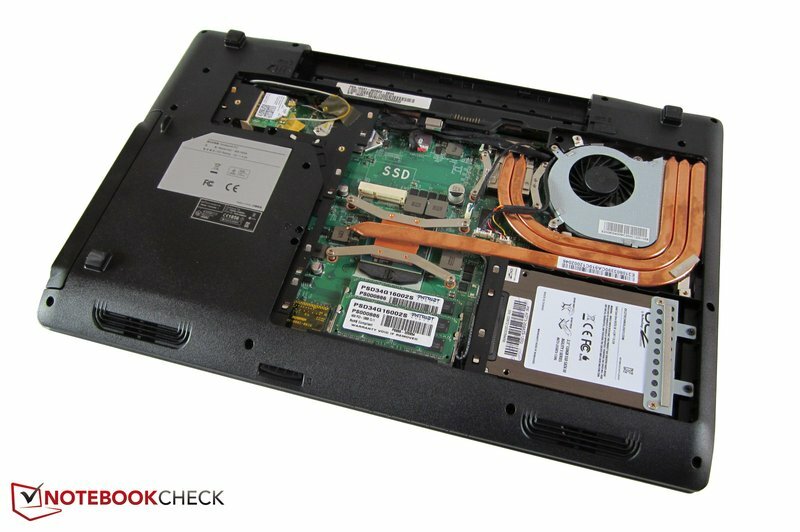 MSI doesn't throttle CPU or GPU while the laptop is on battery, so the performance doesn't drop even when the user is on the road. 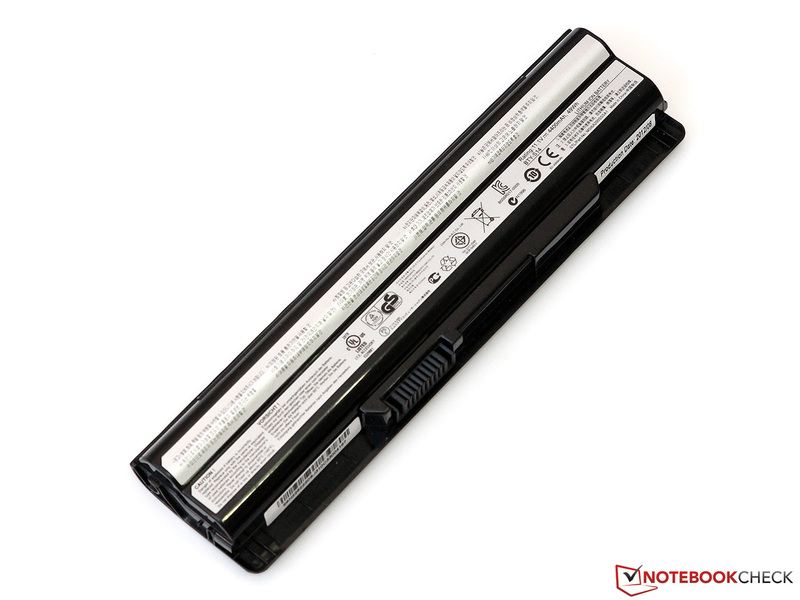 Considering that the notebook only lasted 1 hour and 21 minutes running the Battery Eater Classic Test (maximum power, maximum display brightness, wireless modules and GPU active), it might be advisable not to venture too far away from any power outlets. During heavy gaming, battery life can drop to less than one hour. 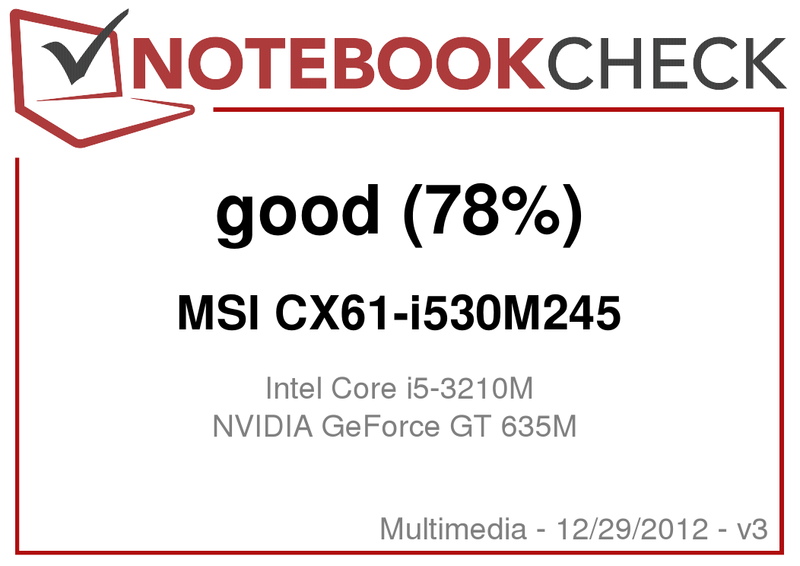 One thing is for sure: at a price of about 600 Euros (~$800), the 15-inch MSI CX61 delivers solid application and gaming performance. Other manufacturers tend to charge more for similarly equipped notebooks. Should that be the most important factor, the CX61 is a good choice. Other potential buyers should be aware of the compromises which will have to be made: the quality of the chassis and the input devices is certainly not impressive. Simple plastic and glossy surfaces dominate the visual appearance; occasional creaking sounds are part of the daily life with this machine. Those wanting to play games won't have too much of an issue with the above - but users wanting a notebook for office-type tasks might. The fairly high omnipresent noise level and the glossy display, which is prone to reflections even when inside, also detract from a positive experience. Mobility is also not a strong point, as the small battery hampers battery life: 3 hours is the maximum that can be expected. ...making the CX61 suitable even for demanding 3D games. The fan is always on - even during idle. Two speakers with good sound and plenty of volume. The openings on the bottom don't have a function. ...find a warranty seal (void in Germany). The inside of the MS-16GA barebone match (in our picture: Deviltech Fire DTX). Aside from WLAN, the CX61 also supports Bluetooth 4.0. ...which leads to a battery life short of 3 hours. ...the mouse buttons lack it. ...which retails for under 600 Euros. ...and grays and blacks dominate. ...but it's neither sturdy nor well-built. Vibrations result in the display lid swinging back and forth - sometimes for seconds. 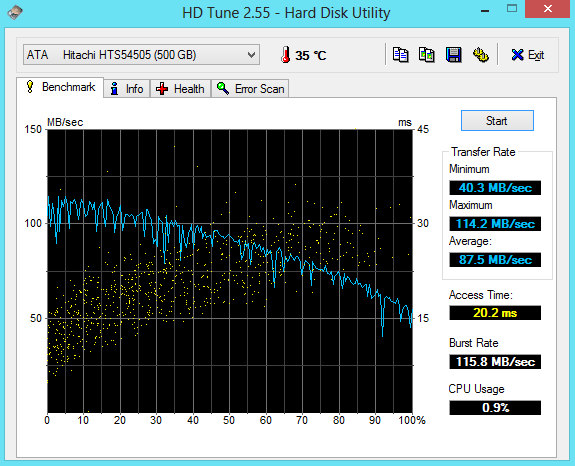 ...USB 3.0 is pretty much a standard now. ...which is rated to supply 90 watts. Not everybody wants to (or is able to) spend more than 1000 Euros (~$1350) on a notebook suitable for gaming. 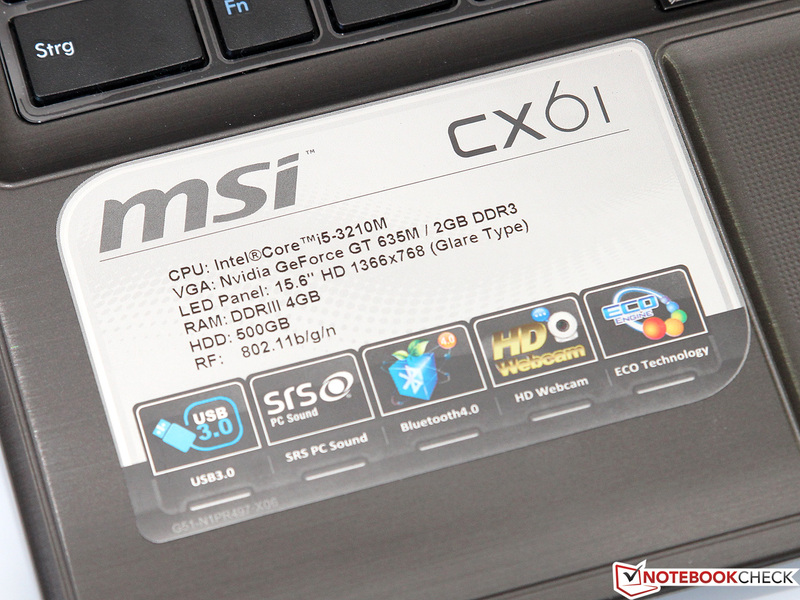 The MSI CX61 appeals to those looking for a bargain, offers well-matched components, and allows for decent framerates when playing the current crops of games. Even though compromises are a necessity given the price point of 600 Euros (~$800), the chassis of the CX61 is a bit disappointing: it is not very sturdy and the build quality is lacking. The GF108 chip used in the GeForce GT 635M is almost 2 years old and very inefficient when compared to modern 28 nanometer GPUs (which would decrease power consumption significantly). 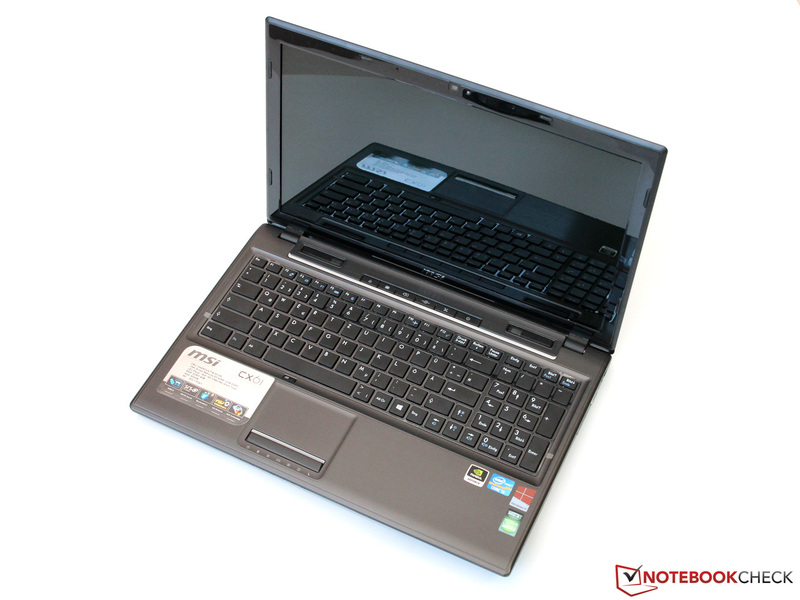 There is a plethora of competing notebooks - examples are the Lenovo IdeaPad Z580, HP Envy m6, Acer Aspire V3-551G, or the Sony Vaio SV-E1511.